Hindi cinema’s earliest rapper was spotted in the park, rather than the gully. Ashok Kumar’s recitation of Harindranath Chattopadhyay’s poem Rail Gaadi in Aashirwad (1968) to a group of children in a park is widely considered as the first rap song in Hindi films. Rail Gaadi is a spoken-word recitation that has the playfulness of a nursery rhyme as it describes a train charging along (“Rail gaadi rail gaadi chhuk chhuk chhuk chhuk / Beech waale station bolen ruk ruk ruk ruk”). Vasant Desai’s music mimics the sound of a coal train engine. The angst-ridden rap of Zoya Akhtar’s Gully Boy was still nowhere on the horizon when Kishore Kumar sang Bam Chik in Kahte Hai Mujhko Raja (1975). In the song, the film’s director and lead actor, Biswajeet Chatterjee, playing a street performer, regales a crowd with mumbo-jumbo verses. The song also has a Bengali version with equally nonsensical lines. It has taken half a century for Gully Boy to emerge. 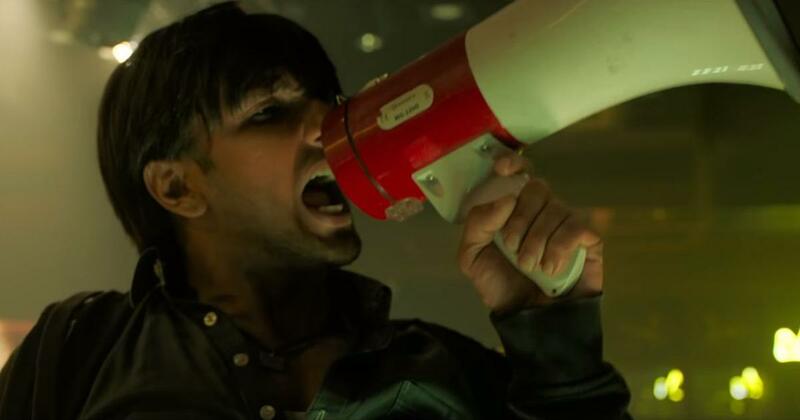 In the February 14 release, Ranveer Singh plays a rapper from Mumbai’s Dharavi neighbourhood who wants to break away from the squalor that surrounds him. The movie has a rap-heavy 18-song soundtrack featuring an army of Indian rappers, beatmakers and beatboxers. Akhtar’s film highlights the Mumbai hip-hop scene through rappers who explore their modest economic backgrounds through their music. This brand of hip-hop, steeped in the politics and economy of its place of origin, is unlike what came before in Hindi films. Rap got a kickstart in Hindi films in the 1990s. The smash success of Baba Sehgal’s album Thanda Thanda Paani connected the performer to Bollywood. One of his earliest Hindi film songs is It Is My Love from Khoon Ka Sindoor (1993). Composed by Dilip Sen and Sameer Sen, the song features funk-and-disco-based beats over which Sehgal effortlessly switches between rapping and singing. The lyrics are credited to Nawab Arzoo. It Is My Love, Khoon Ka Sindoor (1993). Somewhere around this time, Anu Malik thought he could rap as well. So there was the composer breaking into “Main mila, tu mili, tu mili, main mila” between Kumar Sanu’s singing in Yeh Kaali Kaali Aankhein from Baazigar (1993). Malik would slip into such oddball supporting roles in several of his compositions later on. The composer frequently used Sehgal and Devang Patel in his compositions too. Stop That, The Gambler (1995). Sehgal and Malik’s combination produced interesting results, such as a whacky interpretation of the Sufi song Dama Dam Mast Qalandar from Hum Hain Bemisaal (1994). The song combines a melody track sung by Alka Yagnik, a chorus singing “Dama dam mast qalandar”, and Baba Sehgal’s rap. Dama Dam Mast Qalandar, Hum Hain Bemisaal (1994). Baba Sehgal’s popularity reached its zenith in 1998, when he played espionage agent Mr 421 in the spy thriller Miss 420, starring Sheeba in the titular role. The film produced a bunch of hit songs rapped by Sehgal, the most popular being Aaja Meri Gaadi Mein Baith Ja. Hindi film rap of the 1990s had less in common with the musically complex, socio-politically aware and introspective hip-hop produced in the United States of America at the time, and sounded more like old-school hip-hop of the ’70s and early ’80s. The evolution of the hip-hop scene in America did not make any dent in the way Bollywood regarded rap: as an exotic and mostly silly element to make a song zanier. Aaja Meri Gaadi Mein Baith Ja, Miss 420 (1998). Among the composers who made rap respectable in Hindi films is AR Rahman. His experiments in Tamil cinema produced the brilliant Pettai Rap from Shankar’s Kadhalan (1994), which combined Tamil and English verses, with the rap parts sung by Suresh Peters. He would later rap for a number of Rahman compositions like Columbus Columbus (Jeans, 1998) and the superhit Style (Sivaji: The Boss, 2007). Rahman’s first introduction of anything resembling rap in Hindi films was in the title track of Ram Gopal Varma’s Rangeela (1995). How different is little Aditya Narayan’s existential concerns about drinking milk and eating chocolate from the grown-up struggles that contemporary rappers speak of? One of the last unique Hindi rap songs to emerge in the late 1990s was Mumbhai from Kaizad Gustad’s Bombay Boys (1998). The lyrics by Javed Jaffrey and Kiran Kotrial, which reflect the argot unique to Mumbai, are rapped by Jaffrey over music by Dhruv Ghanekar and Ashutosh Pathak. The dawn of the new millennium brought the remix culture to Hindi films. Neeraj Shridhar’s Bombay Vikings combined old Hindi film songs with Western music styles that included rap. Dance mixes were pepped up by deejays with English rap verses that were unintelligible facsimiles of Western rap. Hindi film rap in the 2000s, by and large, belonged to two names: Blaaze and Style Bhai. Blaaze worked in Tamil cinema first with AR Rahman before rapping in Hindi films such as Saathiya (2002), Yuva (2004) and Rang De Basanti (2006). One of his notable tracks is B n B from Shaad Ali’s Bunty Aur Babli (2005), composed by Shankar-Ehsaan-Loy. B n B, Bunty Aur Babli (2005). The prolific Style Bhai’s rap in multiple Hindi film songs, mostly composed by Pritam, goes unnoticed since he is uncredited. The rap sections in songs like the club mix of Ae Pappi (Kismat Konnection, 2008), Twist (Love Aaj Kal, 2009) and Character Dheela (Ready, 2011) belong to Style Bhai. Composers like Loy Mendonsa of Shankar-Ehsaan-Loy and singer Vishal Dadlani of Vishal-Shekhar also rapped in multiple songs. Vishal-Shekhar got Abhishek Bachchan to rap in Right Here, Right Now in Rohan Sippy’s Bluffmaster (2005). Right Here, Right Now, Bluffmaster (2005). By the early 2010s, Punjabi rap had taken over Hindi film music. Hard Kaur’s Glassy became a hit, and soon, she was in Bollywood, rapping in Move Your Body (Johnny Gaddaar, 2007), Lucky Boy (Bachna Ae Haseeno, 2008) and Talli (Ugly Aur Pagli, 2008). In 2009, Bohemia, the originator of Punjabi hip-hop, contributed to the soundtracks of Chandi Chowk To China and 8 x 10 Tasveer. RDB along with Snoop Dogg rapped for another Akshay Kumar-starrer, Singh Is Kinng (2008). Singh Is Kinng, Singh Is Kinng (2008). Rap in Hindi film music had largely been a decorative element, divorced from a larger homegrown hip-hop culture. This changed with Delhi’s Mafia Mundeer crew making it in big in the movies. First, there was Yo Yo Honey Singh, who made his Bollywood debut with Main Sharabi and Angreji Beat in Homi Adjania’s Cocktail (2012). Honey Singh’s ex-colleagues Badshah and Raftaar followed him. Soon, club music punched with Punjabi rap became a staple in Hindi films. Their lyrical content consistently touched upon partying, cars, women, clothing, drugs and alcohol. Honey Singh even rapped for a track called Main Alcoholic Hoon, before returning after a break with Chhote Chhote Peg. The Mumbai hip-hop scene finally made itself heard in Hindi films in Anurag Kashyap’s Mukkabaaz in 2018. Divine got a whole song to himself – Paintra – in Kashyap’s boxing drama. The out-and-out rap song was used in the background score to thematically underline the events unfolding in the film, just as a regular non-rap song would be used. Throughout 2018, Mumbai rappers and rap groups such as Dopeadelicz made notable appearances in film soundtracks. Even Raftaar reinvented himself as a hard-hitting rapper with tracks like Mantoiyat (Manto, 2018). New Punjabi rap sensation Prabh Deep delivered his radical style of hip-hop in the soundtrack for Manmarziyaan (2018). And this year, the rise and rise of hip-hop in Indian pop culture finally culminates with the film that has been a long time coming, Gully Boy. Apna Time Aayega, Gully Boy. 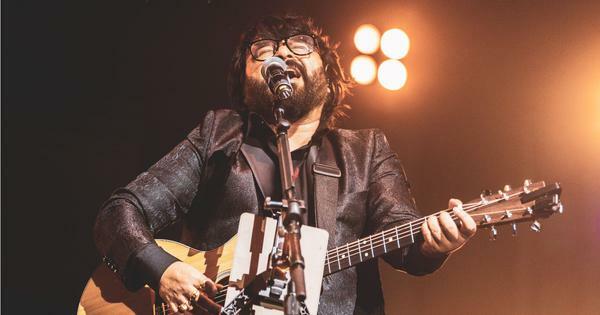 Chart-busting composer Pritam is ready to retire. Will Bollywood let him?